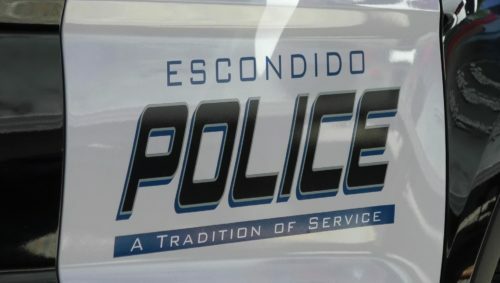 ESCONDIDO–The suspect who fired gunshots at Escondido police officers during a foot pursuit has been identified, according to the Escondido Police Department. The man, 36-year-old Jose Martin Torres of Oceanside, was taken into custody after the incident. He was booked into the Vista Detention Facility for attempted murder in the first degree, and being held without bail. At approximately 1:30 a.m., officers from the Escondido Police Department responded to a disturbance call in the 1400 block of Rincon Villa Dr. in Escondido. During the disturbance, the suspect fired gunshots at the scene. Responding officers observed the man in a vehicle and attempted to perform a traffic stop on the vehicle. He refused to stop and a vehicle pursuit ensued. Officers deployed a tire deflation device on the man’s vehicle in the area of the I-15 Freeway and the Deer Springs Rd. off ramp, which was successful. After exiting the freeway, the man drove to Mesa Rock Rd., just north of Deer Springs Rd., and stopped his vehicle in the street. He exited his vehicle and fled on foot. Officers pursued the man on foot and, during the foot pursuit, the man fired gunshots at the pursuing officers. One Escondido police officer returned fire and struck the man. The officers took the man into custody and he was transported to a local hospital for treatment. He was subsequently released from the hospital and remains in custody. A gun was located at the scene on Mesa Rock Rd. There are no other outstanding suspects, according to authorities. The facts surrounding the shooting are currently under investigation by the Sheriff’s Homicide Unit.